Today we take a close look at the Q6's footplate where you'll likely be spending most of your driving life. The Q6 was a freight workhorse and so lacked many of the comforts of other LNER designs - our minds turned to the particularly comfy looking seats we built for the Peppercorn K1 when we were fitting out the cab this time. 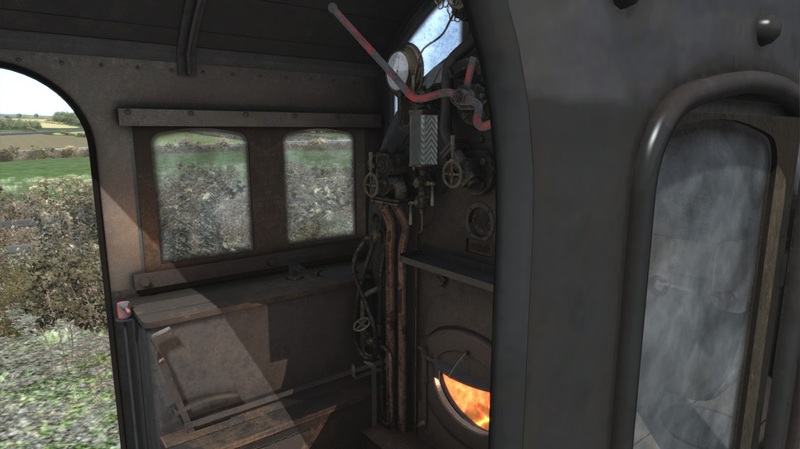 Here we see the NER/LNER style cab. 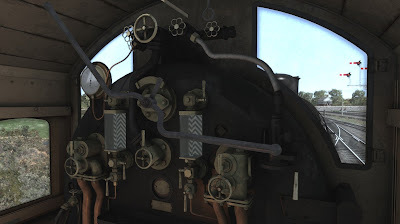 Note the lack of the familiar duplex vacuum brake gauge - the Q6 has no need of this as it only has an engine brake (the whole class being built for use on unfitted freight trains), controlled by the brass lever on the right hand side - being proportional the brakes are applied to the amount that the lever is pulled so no gauge is required. 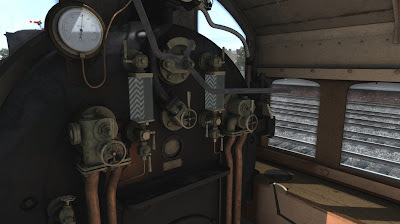 The Q6 does feature a steam powered reverser (last seen on our Bullied Q1 class) although this one works a little differently. 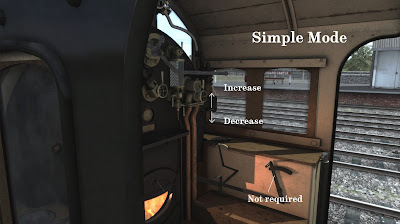 In basic mode we have simplified it, so pulling or pushing on the black lever (with the white painted end) will increase or decrease the reverser, the cut off setting being shown on the brass gauge set into the right hand bench for both modes. 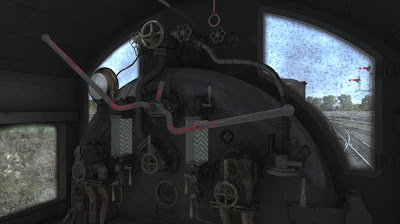 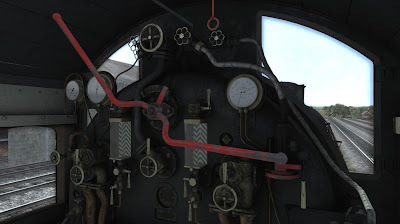 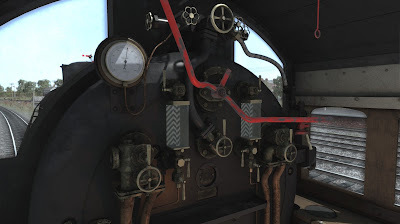 However in advanced mode the engine uses the realistic system where the black lever applies steam to the reverser and the lever mounted to the side of the bench dictates whether the reverser is increased or decreased based on it's direction (this can be toggled using the E key for those who prefer keyboard controls). 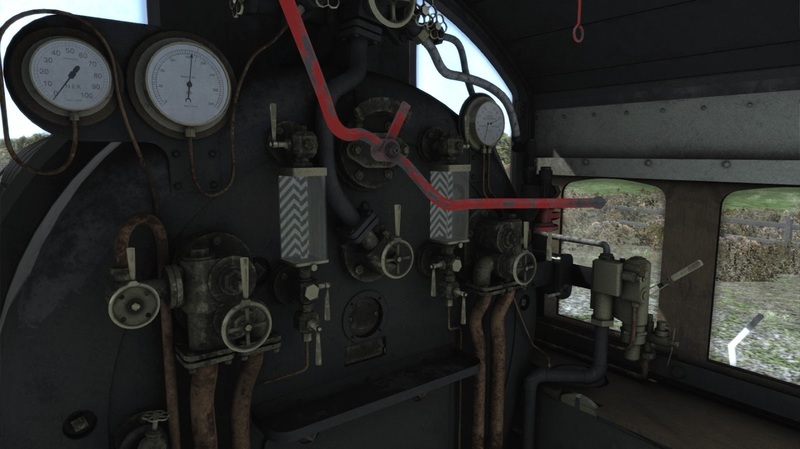 As always we have outside cab views for the driver and fireman positions and also a view into the 3D firebox for checking that all important fire level. 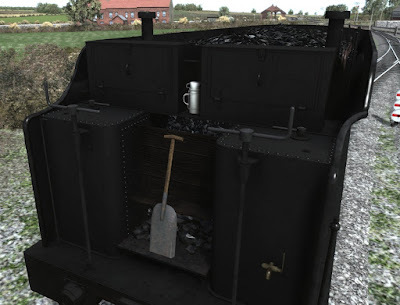 The Q6 tender carries plenty of coal and water for the long freight runs and has working controls for water shutoffs, handbrake and water scoop, and uses the shovel to control how much coal is put onto the fire with each throw. 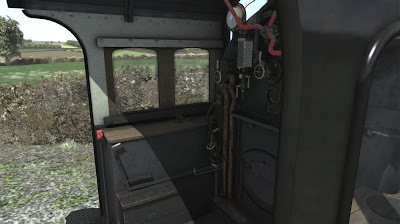 Under British Railways a repaint to some of the cab areas was the only significant change. 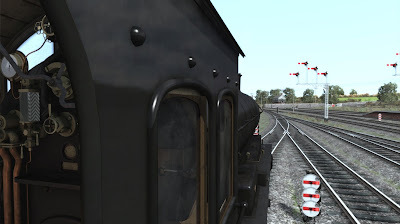 For this model we have used the new texturing technique used on the outer model in all of the cabs as well creating a much more realistic "in use" appearance that is especially well suited to these hard working engines. 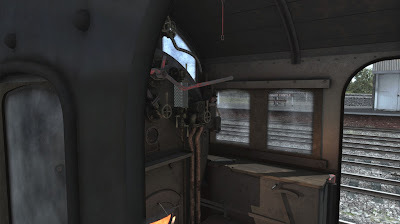 Next we have the cab for the BR filthy version which, as the exterior model, shows a large amount of neglect and many months with only the essential working parts being maintained and cleaned. 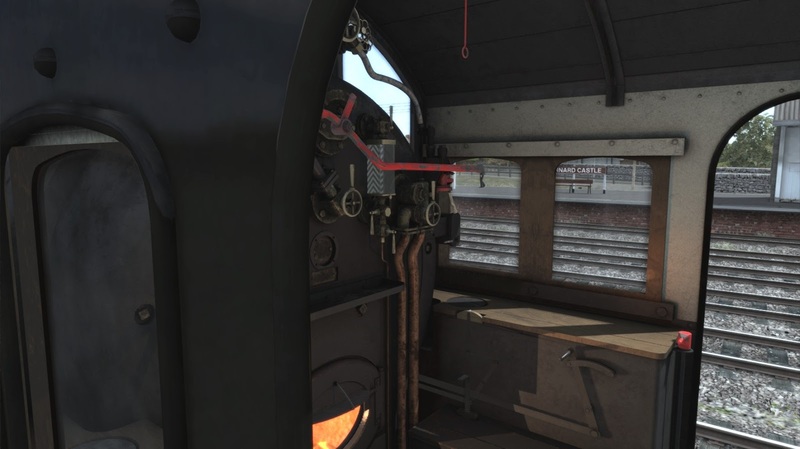 Finally we have the modern day preserved cab which has the addition of a vacuum brake (with gauge) and steam heat so that it can pull passenger services.